Sift through your wax with the stylish TunePhonik Black Bamboo Vinyl Record Holder. This minimalist, modern LP stand was made exclusively for storing vinyl records. Now you can proudly put your collection on display instead of stuffing your prized albums away in milk crates or cardboard boxes no one sees. You’ll have quick access to your most played records or current rotation with this stand in your living room, dorm, or media room. Your black bamboo record holder stores up to 50 albums, from 12-in LPs to 7-inch singles. That’s right, you’ll be able to store both LPs and singles in the same display rack. 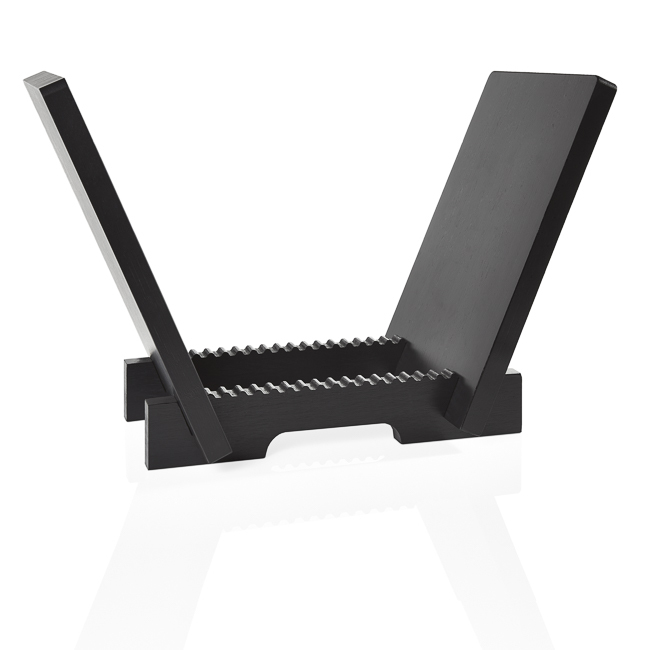 Our flip rack also fits rare 10-inch collector’s items as well. 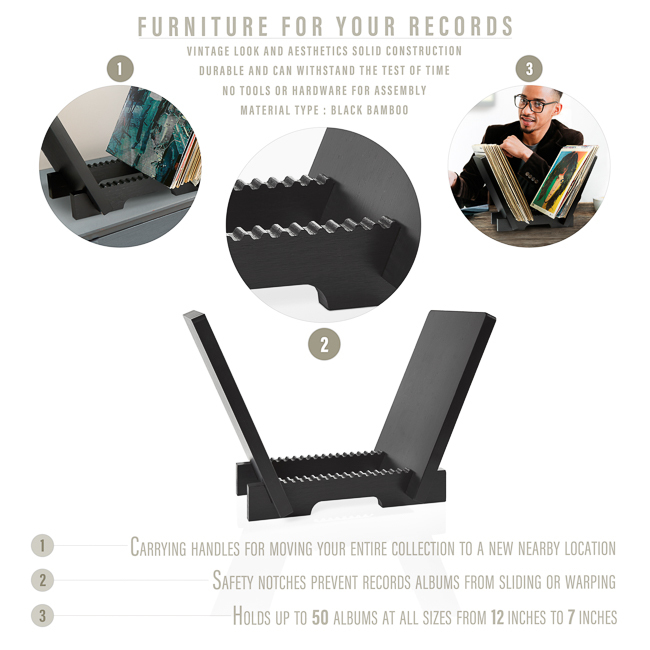 The “V’ shaped design offers an attractive, practical solution to store your records safely. 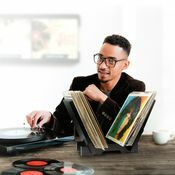 There are two slanted end pieces for stability; the angle of the slats keeps your records from tipping or warping, especially when you’ve got a thick stack of records on one side. The slanted side pieces also allow you to flip through your records like you would with an old school milk crate. 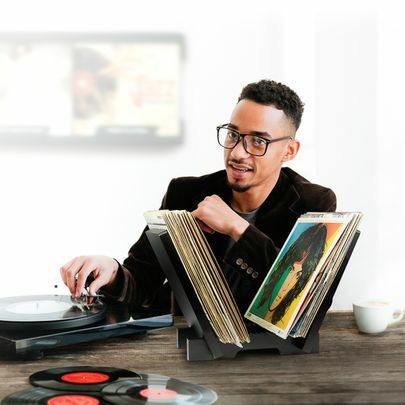 Both bottom pieces feature rounded grooves so you can grab records or slide them back in the holder during a spinning session without missing a beat. Smooth, sanded slots maintain your album covers effortlessly and the rounded grooves ensure jacket corners won’t get damaged by pointy edges. 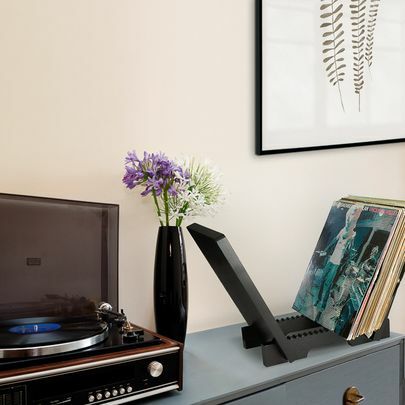 You’ll love this holder’s clean look that draws attention to your album art. Its black finish blends well with other furniture as well as audio equipment and doesn’t detract from your collection. 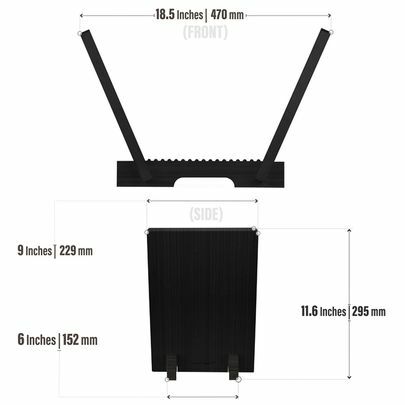 The slim profile and compact size saves you space as this stand fits on most book shelves or inside cabinets and entertainment centers. Best of all, you can set up your new record holder in a matter of minutes. The four pieces of sturdy bamboo fit together without any glue or screws. All you have to do is slide the side pieces in the provided slots on the two bottom parts and you’re ready to put your collection on display.